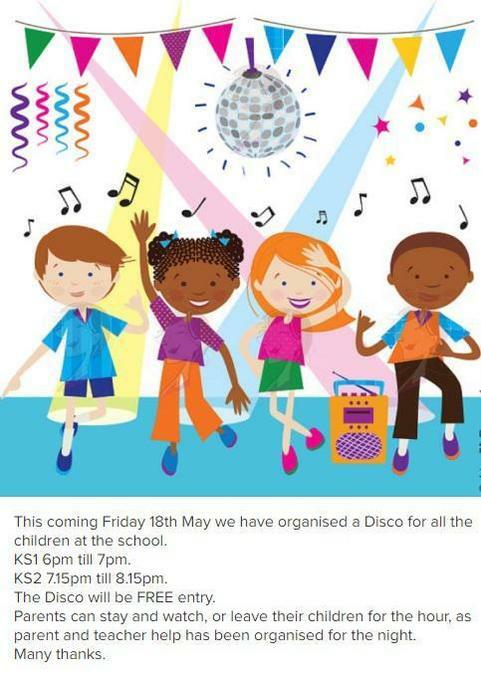 This coming Friday 18th May we have organised a Disco for all thechildren at the school. The Disco will be FREE entry. Parents can stay and watch, or leave their children for the hour, asparent and teacher help has been organised for the night.